It is the one and only night of the year that My Hooligans actually ASK if they can go to bed early. It’s not even eight o’clock, and they’re all tucked in, anxiously waiting for the jingle bells and “Ho, Ho, Ho’s” that signal the arrival of their favorite guest. And so I sit here now in reflection. Not for the year that was, but for the night that is. 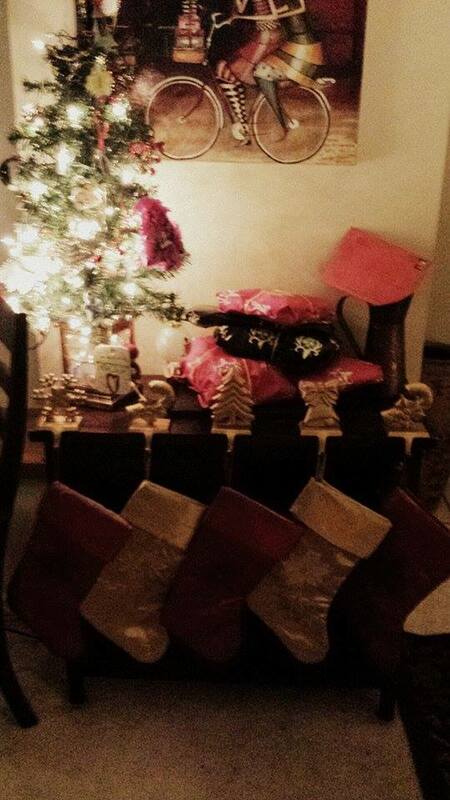 Like many families, we have a tradition in our home that everyone gets to open one present on Christmas Eve. We each get a brand new pair of jammies. 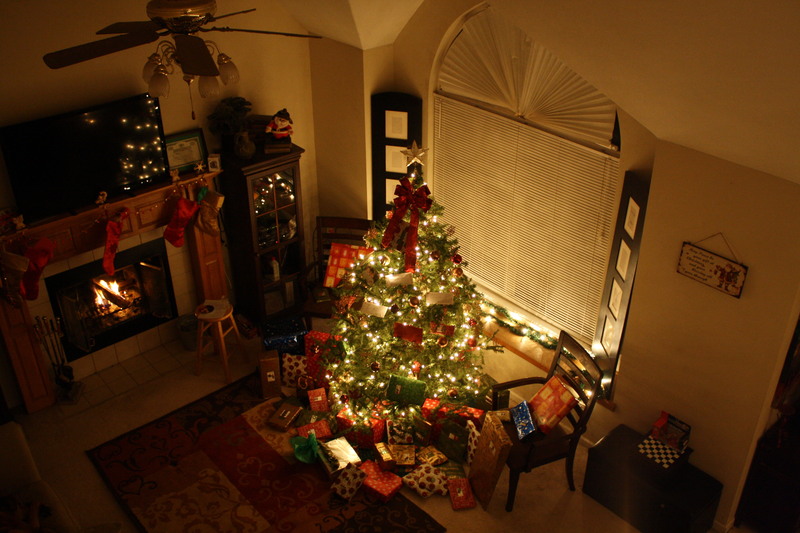 As I placed the packages under the tree, memories of all our Christmas’ past wrapped around me like a warm blanket, and I was finally able to find the light of my Christmas spirit. Our home has an 18-foot vaulted ceiling. It was one of the primary reasons we chose this house. For our first Christmas, we chose the biggest tree we could find- a 9-foot Douglas Fur. A gorgeous centerpiece for our massive living room, meticulously decorated and lit with well over 1,000 twinkling lights. Sparkling ornaments, ribbons and tinsel all coordinated with the rest of the decorations that filled our home, The Giant Tree was always a symbol of the beauty of the season. But this year, that all changed. There has never been a time someone has asked for my help that I have refused. If we didn’t have the means, we found a way, even to the detriment of our own needs and goals. But these were sacrifices we willing made to help those around us. This past year has been a difficult, and sometimes painful one, for me personally. I made a decision to help someone who was as dear to me as a sister. I put her needs and dreams above all else, and because it was important to me, my husband and children did all they could to support that decision. The result ended up wounding not just me, but the four most important people in my life, in a deep and profound way. And for what? Like Giant Tree, it was meant to fill a void, to inspire, to give life to a dream. Instead, it brought to light dark truths and harsh realizations. And while it did pave the way for someone else to know the success of a dream come true, it destroyed a trust and kinship that can never be repaired. As the holidays approached, I found myself in a dark place. Regret, anger and a deep sense of loss robbed me of the joy I always found this time of year. It was the same for my family. We had no desire to help those in need. Our charitable contributions were mechanical, done more out of obligation than spirit. It was like a black cloud hung over all of us. There was no excitement, no anticipation. There would be no gatherings, no laughter and reminiscing of the year’s events. 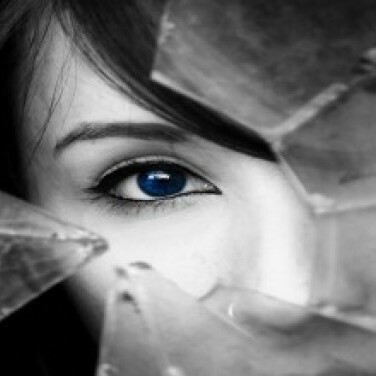 The pain we all felt was so encompassing that we simply couldn’t find a light. When it was time to put up Giant Tree, not a single one of us had the desire to. But we had to have a tree. If for no other reason, our Hooligans deserved a tree. And that’s when it hit me. In a small container, tucked away in the basement, sat our most prized Christmas decorations. Paper and clay, glitter and glue. Bells, wreaths and hand prints. Every ornament and gift our Hooligans have ever made. And beside that container was Tiny Tree. A little 3-foot, pre-lit reserved just for those gifts. So instead of Giant Tree and those glittery balls and bows, we decided to use Tiny Tree and the ornaments that mattered the most. As I watched our girls hang each ornament, a little bit of the light came back. We each talked about the time this one was made, and that one was purchased. When my husband and son placed the star on top of the tree, the joy, the true meaning of this special season filled my heart to bursting. Giant Tree filled the space, but it was Tiny Tree that reminded us what really matters. You asked for it, and now you’ve got it! 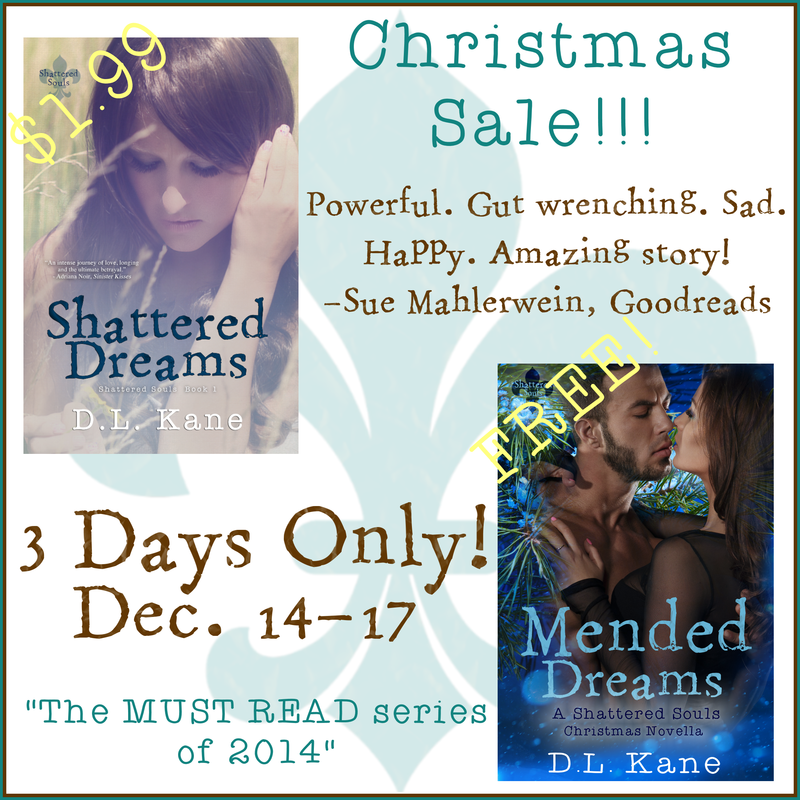 Mended Dreams is not only live, but it’s totally FREE for the next three days! It’s not a stand alone though, so for the next three days, the book that started it all is on sale for only $1.99! Grab your copies now! And spread the word! Asa is up to his old tricks again, and David is in on the shenanigans too!! Grab Mended Dreams and find out how Mason and Amy celebrate their first holiday season together!